Over a year ago now, Public House lovingly thought to do a Valentine’s Day show. The scraggly line-up put Mississippi Sawyer, an old time roots and Americana jazz band that earns most of their keep busking Milwaukee street corners, in the opening spot followed by whimsical rock enthusiasts Holy Sheboygan. The bill wrapped with these two spin-off projects from a couple known and respected bass musicians on the indie scene, Bo Triplex and New Boyz Club; my first experience with either. The most auspiciously concocted day of the year dedicated to fond emotions came through for once. This show would add further spark to Milwaukee’s growing love affair with bass-lead oufits and deep genre fusion backed by classically trained string and brass musicians. Bo Triplex in its own regard, single handedly made R&B Soul, (like 70’s style with back up singers and everything) fun and musical again. 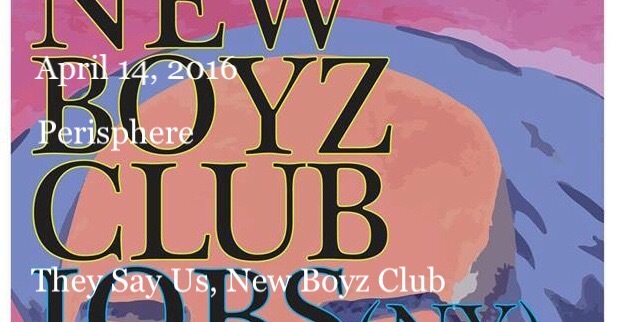 New Boyz Club since then has gone intergalactic. They matured quickly like a wild baby zebra, developing the markings of a seasoned adult, confident, aware and at ease. Their February show at the Public House this shows what familiarity and chemistry can do for musicians in a short amount of time. 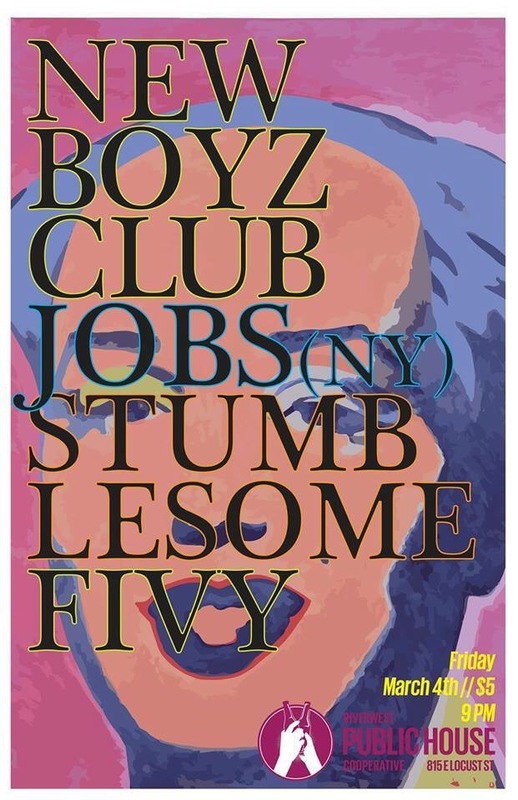 Gracious in all ways, New Boyz Club occasionally shares this moment with guest performances from friends, frolickers and family, sometimes all at once. Speaking of cameos, good timer D’Amato serves a bit of soul succotash to compliment New Boyz’ song menu on occasion too. Together they tap that thick layered orchestrated BT Express-era soundscape that needs more play these days. D’Amato a solid solo artist in his own right as a guest chef make it that much more f*cking delicous. In other pieces, New Boyz wisk in melodic variations on classical salsa, allowing room for improvised dashes of crushed pepper, bring their performances to a slow simmer. In the their grandest moments, New Boyz disappear into one another. We All Go to Heavan on a Sinking Ship will always be their gypsy ballad, a beautiful lament that captures the unsettled and unjulating pace of uncharmed and cynically yourning lifeforces. A few rising and notable local musicians, saxaphonist Jay Anderson, violinist Ernie Brusubardis, Katie Lyne, Will Rose, Palmer Shah and Josh Backes complete the New Boyz Club formula, a mixture epitomizing why we recognize Milwaukee Day. This entry was posted on April 15, 2016 by L.S. Trolley. It was filed under Local Trolley .